The nest is made from YTONG/Hebel, and uses dimmable LEDS. It also features a hidden water tower that utilises a water level sensor connected to some indicator LEDS to inform you when to refill the water tower. The YTONG/Hebel component of the nest is placed inside of what appears to be a hand crafted glass box with a wooden top and bottom. 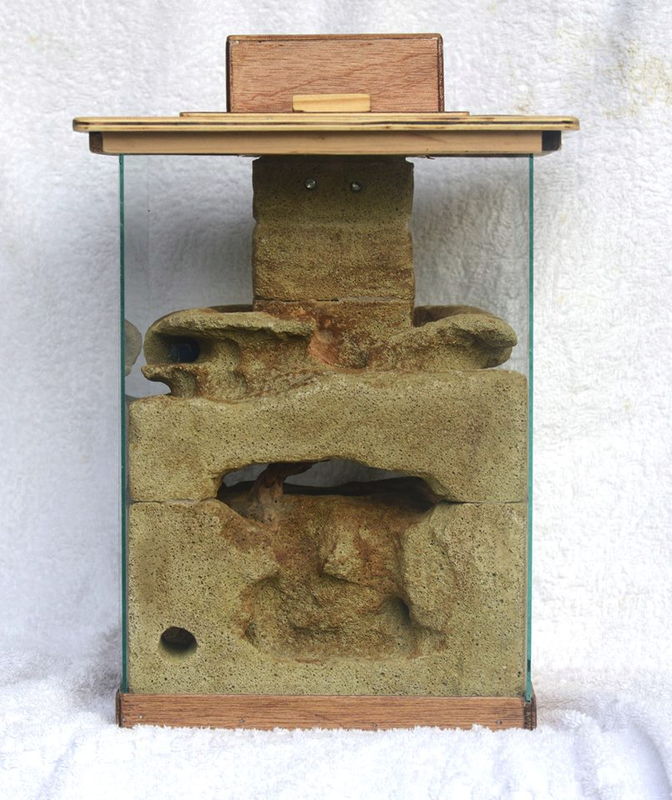 Above the Hebel is enough space to essentially act as the outworld for the ants hidden in the chambers of the formicarium below. The nest is large and spacious primarily designed for small Myrmecia sp. colonies. I imagine many other large ants would also happily call this design home. One of the most exciting things about this creation is that currently the formicarium is planned for sale upon its completion. It's unclear what sort of price it will be sold for and what shipping will be available, but certainly keep your wallets at the ready if you wish to snag this beautiful design.